Let’s face it, if you’re an unhappy customer, it’s a lot easier to take your business elsewhere these days. So one of your top priorities as a small business should be to make sure your customers don’t have a reason to shop around. Between the Internet, social media and mobile devices, it’s never been easier to lose a customer if they have a bad experience, whether the reason is price, product quality or customer service. Hinshaw and Kasanoff offer a number of suggestions for retaining customers – and for how not to treat them. For starters, your customer experience should be unified and easy to navigate, not a confusing maze. Mobile and social media experiences should be easy, and customer complaints should be seen as an opportunity, not a problem. Remember, these days one happy customer can deliver hundreds of new customers. 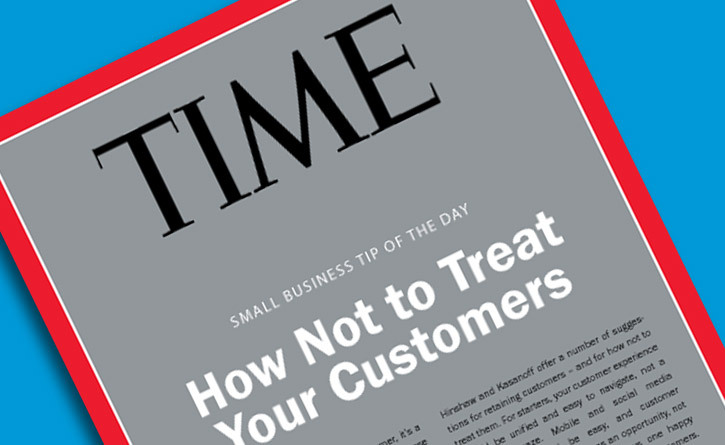 Customers demand a personal experience nowadays and they have a lower tolerance for mistakes, so treat them that way. Adapted from How Stupid Companies Treat Customers at Baseline Magazine.